The father of Waiuku’s colonial history is a man who emigrated from Kent in England in the first half of the 19th century. His name was Edward Constable and he built the Kentish Hotel when he realised the importance of Waiuku as a link for trade being taken to the new capital of Auckland. He started to build the hotel in November 1851. It was complete in early 1852, but the licence to sell liquor was not given until 1853. The Kentish is the hotel which holds the oldest continuous licence in New Zealand to this day. Over the years the Hotel has been the focal point of many activities. Visits by prime ministers have included Sir Joseph Ward, William Massey, David Lange and Sir John Key to name a few. It also hosted the very important Awaroa Canal Commission meeting in 1908, when the planning was to construct a canal between the Manukau Harbour and the Waikato River. Those who love a scary story will be interested to know The Kentish also has a resident ghost. Stories are told of a Catherine Jones, who with her husband Edwin, held the hotel licence from 1905. Edwin was said to be often “under the weather” and during these periods Catherine is reported to have entertained some of the patrons and visiting sailors in more ways than one. When Edwin died in 1906 the lease transferred to Catherine but, amazingly, her tenure ceased abruptly in the same year amongst suspicious circumstances, and nothing was heard of her again. Reported sightings of this lady in ghost form outside the hotel or in room 10 have occurred over the years, even in recent times, but it is understood that she is the friendliest of ghosts. Many a tipple has been had at the hotel during its life-span, and today its service continues but with fresh focus determined by changing times. The hotel serves delectable meals, and is a venue for weddings, conferences and receptions Furthermore, when casual visitors enter the establishment, they see walls decorated by hundreds of photographs and pictures depicting the history and the characters who have influenced the life of this hotel. After looking at the pictorial history, draw up a chair and have a beer or wine, enjoy a generous meal and think about the millions of footsteps that have crossed the Kentish steps. Born and bred Waiuku local, Bill Deed has spent most of his life in the district and has a passion for its history. At just 12, he wrote a front-page story for the Waiuku News on the HMS Orpheus disaster at Manukau Heads which had occurred 100 years earlier with the loss of 189 lives. In 1985, he formed a committee to restore the vintage sailing scow Jane Gifford and he is a life member of the Waiuku Museum Society. 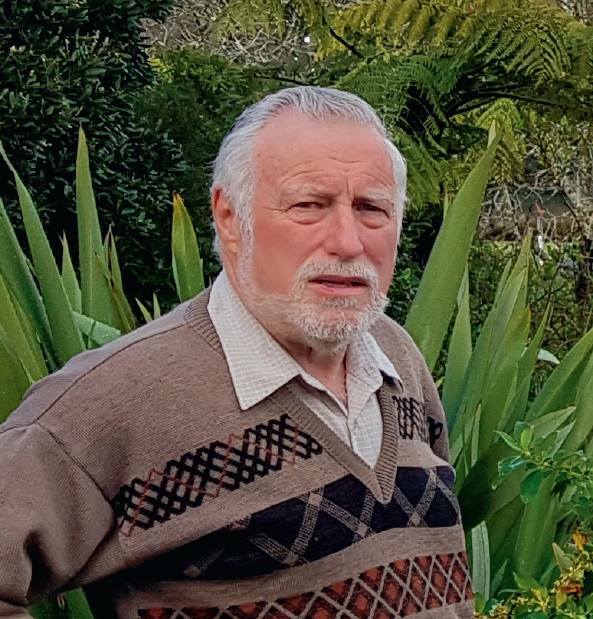 Owner of Deed Printing and Action Offce Products Depot in Waiuku and Pukekohe and former owner of The Post newspaper, Bill is a Justice of the Peace and was in local government for 21 years. He was awarded a Queen’s Service Medal for community service in 1995. The majority of photos in this feature are courtesy of the Bill Deed Bill Deed Collection (copyright).